If you’re looking for a 2 player loot and shoot game with a dark sense of humor then this Borderlands collection is perfect for you. Mixing together FPS mechanics with an RPG like progression/quest format makes for an amazing solo experience, but team up with a friend online and you’ll have twice the fun as you search Pandora for the best loot you can get your hands on. 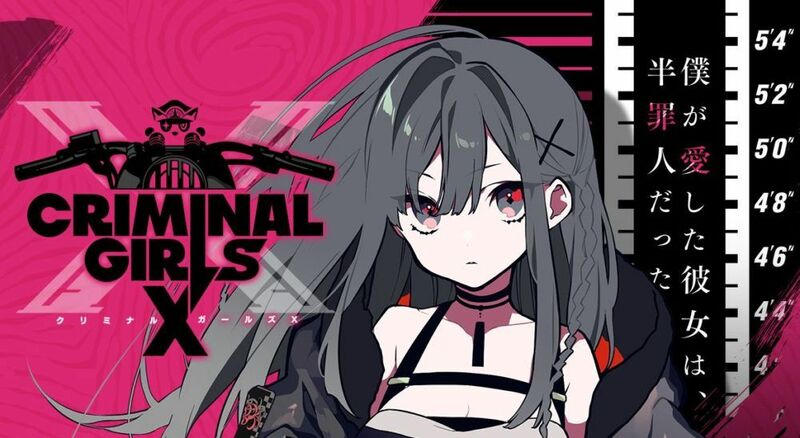 Air dropped onto a gigantic island with 99 other players you must work your way through the ever-decreasing playfield taking out everyone in your path. By finding vehicles, supply drops, and armor you must improve yourself in order to become the best soldier you can. But if the Hunger Games taught us anything its that you can’t fight a battle royale alone. Teaming up doubles your chance securing that sweet chicken dinner but be wary that if you’re a pair, everyone else is too. Portal 2 introduced an entirely new mode which allowed you to play as Atlas and P-body two Aperture science testing robots who have to work together to solve specially designed co-op puzzles. What this means is you’ll be working with twice the amount of portals you had before but, unfortunately, that doesn’t bring you any closer to that illustrious cake. Since GTA 5 launched it has soared into popularity, but even with a complete lack of single-player DLC the game is still alive and one of the most played games to date, and that’s all because of GTA Online. This sees you and a friend teaming up in Los Santos to run races, perform heists, fly cars or just generally shoot each other to death. GTA Online is the full sandbox experience of the single player but with a friend and a whole host of exclusive content. Fortnite has quickly developed into one of the biggest games in the world right now, with millions of people tuning in to both watch the game and play it. 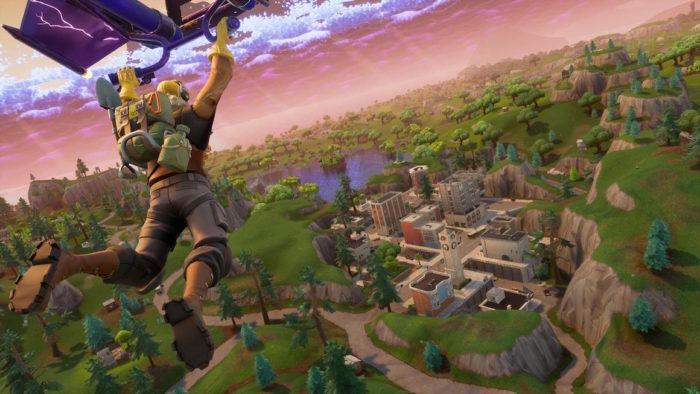 Following on the success of its peers like PUBG, Fortnite Battle Royale is a mode which pits you against 99 other players, but this time there’s crazy weapons, a colorful cartoonish art style, and a Minecraft-esque crafting system. Of course, you can go into this fight alone but teaming up with a friend will only help you survive this chaos. Surviving every day in life can be hard as it Is but in Don’t Starve’s world everything is out to kill you, whether it be the darkness, the creatures or your own mindset very few things in this world are your friend. That is until you bring in an actual friend. Don’t Starve Together brings all the survival fun from the main game and makes it completely accessible to you and a partner. You’ll work together to make sure you stay alive as long as possible on a procedurally generated island where literally everything is your enemy. Whether it be causing your car to ride the ceiling or fly through the air to hit a ball Rocket League is a game full of the unexpected. At its most simple Rocket League is just car football, but as soon as you add in all the crazy tricks and power-ups it becomes much more than just a simple game of scoring the most points. Teaming up with a friend means you can work together to score epic trick shots and setups both of which will net you that much-needed victory and bragging rights. Football has never been this exciting. The ultimate co-op survival test is facing off against hordes of undead in the pitch black with only a few bullets left to hand, and yet the scariest thing about that is it’s a just an average game of Left 4 Dead. Through sprawling locations like abandoned theme parks and shady motels Left 4 Dead is one of the most frantic shooters on the market, teaming up is the only true way to take on the oncoming horde. A Way Out changed the way we see Co-op games by enforcing every part of the game to be played split screen. You and your partner must work together at the same time to escape incarceration, teaming up to solve puzzles and take down the enemy in order to find the titular way out. It’s a game that truly changes how we view co-op and as there’s no single player mode, you’re forced to hit up a friend online and start working together. Sailing the seas and looking for treasure is just the tip of the iceberg when it comes to the pirate adventure Sea of Thieves. You and your friends have got to explore the world, complete quests and fight vicious monsters all in order to become the best pirate in the land. With a huge amount of customization on offer Sea of Thieves is the best way to live out all your pirate fantasies. Arms is a fighter with a difference, instead of regularly sized fighters every character has an elongated arm they used to attack opponents from afar. Jumping around the map and flinging your arms becomes an average match, and the crazy roster of charters means every match set up is very different from the last. There’s a heavy dose of tactics in every match and you’ll have to learn your opponents every move to be able to get that upper hand (or arm, if you will). Minecraft is a blank canvas for your designs, given an open world, you have to find your own resources and build up whatever you want. Whether it be building a giant castle out of wool or a quaint little treehouse in the forest, the scope is nigh on endless. If you bring on a friend then your scope is even larger, working together you can create some insanely cool ideas and the only thing stopping you is the limits of your imagination. But be wary because at night the monsters come out and everything you build is always at risk of a monster attack. Spanning 5 games and over 100 multiplayer maps the Halo Master Cheif collection is the ultimate way to play Halo. Whether it be teaming up with a friend to play through the Master Chiefs action filled adventure or whether it be destroying opponents in the multiplayer arena the Master Cheif collection has a lot to offer. If you’ve never got around to playing this classic franchise the Master Chief collection is the perfect place to jump in. Rayman Origins reinvented what we thought we knew about Rayman introducing a new more colorful art style and returning to its 2D routes, now though Rayman Legends polishes everything that was great about Origins and makes it ten times bigger. You’ll be running away from the fast-approaching lava, playing through musical themed levels and flying through the sky in a whole host of co-op friendly worlds. Better yet the game even includes a whole 40 remastered levels from Origins meaning if you missed that, then here’s your second chance to pick up a great platformer. Resident Evil Revelations 2 is a fully made co-op Resident Evil outing. This time you play as Barry Burton and a Claire Redfield as you are kidnapped and taken away to a mysterious island. The game has a strong emphasis on co-op meaning you’ll have to work together to solve puzzles and take out the creatures that inhabit the island. It’s wonderfully scary and a joy to play through, that is if you have a willing partner to get scared with you. Far Cry 5 is the first in the series to introduce a full co-op story mode. You and a friend can now jump in and experience the terrifying reign of Joseph Seed with a friend. Trapped in Hope County with a rampant cult led by the viscous Joseph Seed, you must work your way through the ranks to try and get to Seed. You’ll be flying helicopters, killing skunks and all manner of crazy things in one of the most fun games the series has to offer. A bullet hell with a difference, Enter the Gungeon is a 2 player online game that combines the best elements of Binding of Isaac and puts them together with the hellish nightmare of something like Geometry Wars. Put in a procedurally generated dungeon you must find the best weapons you can in order to defeat the monsters that lie ahead. You’ll be firing shotguns that fire more shotguns and water guns that fire poison. No two runs will be the same and Enter the Gungeons chaos will still remain fresh on its 100th play through. Built on the open source engine that Half-Life 2 had to offer Gary’s mod opens up the playing field to anything. Whether it be building a working cinema or a giant robot the possibilities are literally endless (and they extend even more if you dive into the online mod community). Whether you and a friend want to build, fight or take part in on of the infamous game modes like prop hunt, Gary’s mod has it all. Tower defense games are normally top-down affairs however in recent years the idea of fully 3D tower defense games have taken off. One of those, in particular, is Orcs Must Die 2. Building off the mechanics of the first one you and a friend have to fight off waves after wave of orcs as they come and attack your central tower. You’ll have to put down traps, fire guns and upgrade your defense system all while an onslaught of orcs attack. Its chaotic fun that will keep you entertained for hours on end. If you’ve ever dreamed/hoped of seeing Nintendo’s huge roster of characters fight it out in a giant arena then you may be surprised to know that one such game does exist. Smash Brothers is the ultimate arena brawler, pitting infamous characters like Mario against Star Fox or Kirby against Pikachu, its one of the most fun crossover games on the market. Better yet now is the best time to jump online and hone your skills, as in just a few months we’ll be getting our hands on the latest entry in the series. Fifa 18 is a 2 player online game that prides itself on being the most realistic football game on the market. The graphics are jaw-dropping, the gameplay is smooth and the level of detail in every match means it really is the closest thing to watching real football. With online game modes like Ultimate Team, Pro Clubs and Skill Games there’s a huge amount of opportunity to play with or against your friends. Fifa 18 reaffirms that football truly deserves the title, the beautiful game. A huge open world environment and obscure events like racing planes set the Horizon games very much apart from the core Forza series. Forza Horizon 3 is a 2 player online game that takes the game to Australia and ramps up the chaos. Playground Games take everything that’s great about the core Forza series and implement it in these games with a hefty dose of fun. If you want a solid racer but don’t want to be bogged down by the almost simulation like mechanics of the main games then Horizon is the perfect experience for you. Plus you can take it all on with a friend, ripping up the streets like a true racer. Overwatch is Blizzard’s answer to online arena shooters, with a cast of 20 plus highly differing characters you must work with your friends in a team to conquer your objective. Overwatch is a game that relies solely on the strength of the team you form meaning if you and a friend can work together, your team will be all the better for it. With a huge competitive scene and every game being incredibly fun to watch overwatch has a lot going for it, if you haven’t already checked it out now is the best time do so. Call Of Duty has a great 2 player online mode as it is but in recent years one of the biggest staples the series has to offer is its zombie mode. Call Of Duty WW2 is the latest in the series to offer up this mode to its players. Set in a fictional German town you must fight wave after wave of zombies, as you uncover secret bases and reveal more of what the map has to offer. It’s a game that only gets easier the more people you have on your team, so partnering up with a friend online will make the horde that much easier to handle. Spelunky is a 2 player online game which will leave you incredibly frustrated but also incredibly satisfied when you get around to completing it. Set in a cave where the only objective is to escape you must fight a never-ending barrage of obstacles that will try to stop you from reaching your goal. From spike traps to spiders Spelunky is not a game for the faint-hearted. 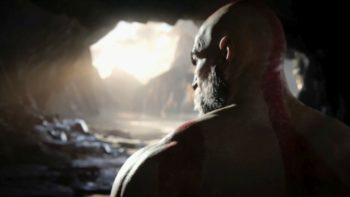 Team up with a friend though and suddenly the pressure is lifted and fighting through the seemingly endless caves will become that much easier to handle. Nidhogg is a fencing game in which the prize is being eaten by a giant worm. In a fast-paced game of tug of war, you must fight your opponent in order to seize control of the map and make your way to the end of your assigned path. It’s a game that can be over in two minutes or in ten, it all changes depending on how tactically you play it. If you’re looking for a fun party game that’s easy to pick up and play then Nidhogg is perfect for that. In Rainbow Six Siege you have one life, every move you make is important. You must scan out the environment and think carefully about why you are doing everything you are doing. 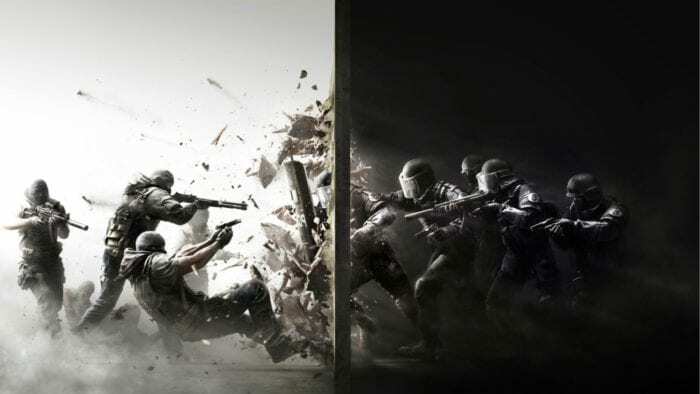 Since its release Rainbow Six Siege has developed an intense competitive scene online and because of that, the games gained a lot of popularity. Its an incredibly hard game to master but once you do you and a friend will breaching doors and flying drones like a pro. Blizzard has a knack for creating great co-op games and Diablo 3 is no different. This vast RPG sees you explore the world of sanctuary, exploring dungeons completing quests and getting the best loot you can. It’s a game of immense depth and will give you hundreds of hours of dungeon hunting fun. Even if you’re just looking to sink a few hours into a sprawling world then Diablo 3 is perfect for that. With a beautiful aesthetic and incredibly fun mechanics, Salt and Sanctuary is a fantastic co-op RPG that’s very reminiscent of games like Dark Souls. 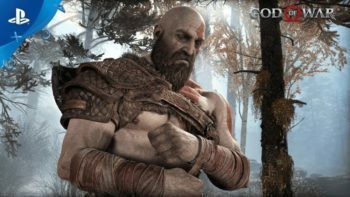 You’ll be fighting creatures using over 600 different items and trying your best to conquer this difficult experience. Like Dark Souls, there’s a co-op mechanic which introduces helpful messages and the ability to battle it out in PVP. Salt and Sanctuary is one of the most interesting souls-like games you can play right now mainly because of its 2D perspective which brings a whole new element to the genre. After a flurry of futuristic shooters, Battlefield took the initiative to take things back to past, returning to the franchise’s roots. Set in WW1 Battlefield 1 pits players in huge playing fields filled with vehicle’s, destructible environments and guns. Its got a bigger focus on boots on the ground gameplay but of course, it’s still possible to jump in a plane and wreck your opponent. Battlefield 1 is a great solo experience but its online squad gameplay makes for some fun teamwork as you use vehicles and modify the environment to your advantage. Nidhogg is a fencing game in which the prize is being eaten by a giant worm. In a fast-paced game of tug of war, you must fight your opponent in order to seize control of the map and make your way to the end of your assigned path. It’s a game that can be over in two minutes or in 10; it all changes depending on how tactically you play it. 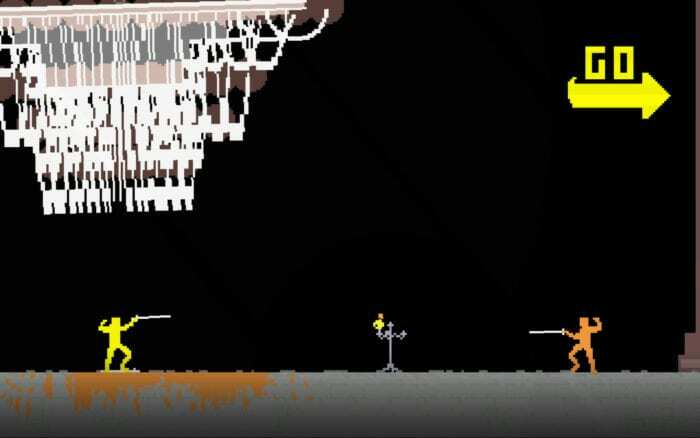 If you're looking for a quick online game that’s easy to pick up and play, then Nidhogg is perfect for that.